Choosing which web hosting company is ideal for you can be difficult. With so many companies out there, all promising to offer unlimited resources, 99% uptime, knowledgeable support and high page loading speed, there needs to be an easy way to cut through this jargon. Right? This guide will assist you make an informed decision on how to choose the best hosting company by helping you compare apples with apples. You will be quickly able to decide which website hosting company best suits your requirements. Whether you are in process of selecting a website host for a brand new project or for existing site, it is important that you are clear with your requirements. Knowing what you want and need is a great way to ensure that you find out what you are looking for. Find out what your current website does? Is it a company’s website? A store? A blog or personal website? What platform is used by you? Is your website WordPress powered or building it yourself? How many visitors do you get and what is the anticipated growth for future? What type of content will you publish? Will it be text based mostly? Will it feature lots of high resolution photos or videos? Where is most of your target audience or visitors based? What added service do you need like email service, offsite backups, managed hosting? What support channel is required by you? Is a 24/7 live chat or phone needed? Will out of the hours email support be sufficient? To make sure that the host supports your business requirements and does not create needless hurdles to site’s success, you need to first know the key types of hosting. Later, you need to consider a few basic criteria to select the best one for you. Individual Plans – They are the most reasonable options. Typically, these offer hosting support for just one domain and may even limit bandwidth, features and data storage. Thus, they are best suited to novice webmasters who do not expect unique needs fir their sites or significant traffic. Here few companies provide shared hosting plans for individual. Check out iPage Hosting Plans, eHost shared hosting plan, Dreamhost hosting plans and justhost shared hosting plans. Dedicated Servers – With these plans, you get your own servers. Such plans cost higher. If you expect increasing to a website which needs this option, ensure to select a website hosting provider ho offers both plans and enables for account transitions. Reseller Accounts – This hosting has a unique niche between dedicated server arrangements and individual plans, allowing customers to set up many individual plans in a single account. These are best for businesses that expect running many small websites. Nothing can be more imperative than having 24*7 available website host. Uptime describes how dependable your web hosting service provider is. The higher is the uptime, the better it’s. You need to have a host that is operational on powerful server along with stable network connections. 99.5% and above uptime score is recommended. Here some hosting service that gives you above 99% uptime. Uptime Robot: This tool helps monitor your sites in every 5 minutes. It alerts you when your website is down. With today’s modern technology, you’ve only 3 seconds to grab your user’s attention. The user will close your site or look for another site after 3 seconds. You do not want to lose your business due to loading time. So, when you choose a web host, you should check its server speed. You need super fast loading speed to hook your visitors. Google also considers loading time when ranking your website. It’ll offer high ranking to the fast loading websites. Based on our experience we recommend 2 fabulous hosting service that gives high speed performance. Check our A2 hosting reviews and Siteground hosting reviews here. Bitcatcha: You can check your server speed for free with Bitcatcha. It has an exclusive server speed checker which will tell how well your host’s server is exactly performing. This test takes a few seconds only. Dotcom-tools: You can use this tool to test the performance and availability of your HTTPS or HTTP website. It is available for free. You just need to fill in the required information. Ultratools: Ultratools offers a DNS Speed Test tool. This hosting speed tool can offer you with helpful DNS performance information and data for every level in DNS tree to help with performance evaluation and troubleshooting. Loadimpact: It is a leading load and performance test service online which allows you to test your website, mobile app, web app or API on the Internet. It is an on-demand service. So, you can begin testing immediately. There is no software to install or no license fee. Most people first look at this aspect when selecting a web hosting provider. But, it should not be the deciding factor. 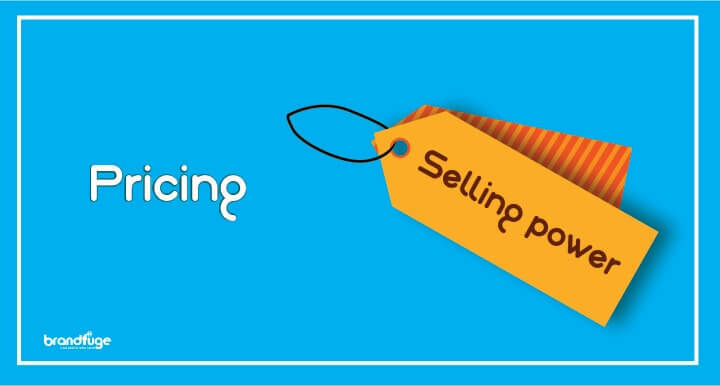 Opting for the cheapest offer you find out is not the best idea necessarily, particularly if you count on your website to make money. Have a closer look on the features that every host offers and then compare the prices. While it is important to find a host that provides reasonable prices, avoid free hosting plans completely because they might be unreliable. Here this hosting service gives you the cheapest hosting service with high performance. For most people, this one is very important. Before going with any host, ensure to look for their reputation when it comes to customer support. Find out the different ways in which you can get in touch with them for support – toll free phone, email, chat, etc. Are they available 24/7? Does the host has outsourced support? Also, ensure to test the response time of host. You can send a couple of messages to the support email address or forum to test their response time. What makes the web hosting company special and unique? What additional incentive do they offer to make your website hosting more attractive? Whether it is energy saving practices, multiple data centers or added features like ecommerce features, cPanel, etc. Your control panel should be functional and user-friendly. Without a control panel, you’ll be left only at tech support staff’s mercy- even if you need some basic changes. Even if you are not tech savvy, there are a few things like setting up email, installing WordPress, making FTP accounts, which you should be capable to do yourself. Find out whether the host provides cPanle or vDesk or Plesk as control panel. Do you’ve a specific shopping cart? Are you in need of special tech support? Do you want to process any business transaction on your site? If you, it’s important to choose a website host with enough eCommerce features and support. Dedicated IP, 1 click shopping cart software installs and SSL certificate are a few important features you’ll need. It is the area where you may not have considered about asking for help from your host. If you’ve spam problems, it might be because the host does not offer apt solution for it. Ask about or look into the host’s spam solutions along with general email practices. This is important, particularly for beginners who create their website first. Softaculous allows you to do 1-click installs for WordPress forum, blog, Joomla CMS, and other famous programs without technical knowledge. If you want a faster website, then CDN is a feature your website host should have. Moreover, the Content Delivery Network should be simple to set up and affordable. A CDN can boost page load speed, bock scrapers, scammers and bad bots, handle high traffic load, localize coverage without cost, load balance between many servers, etc. Does the host offer full backup regularly? Can auto backups of your website be created easily through cron job, etc? Can website backup be performed easily through control panel? Can you restore backup files yourself? RAID – It is a special system to protect your data. RAID keeps your file secure even though the server crashes. Secure Datacenter – Anything is possible in realm of nature like earthquakes, power shortages and hurricanes. So, the web host should be ready or such instances. Diesel power generators, secure facilities and other protection aspects are a plus definitely. DDoS Protection – DDoS slows down your web hosting company’s network. This in turn affects all sites present on that specific web server. DDoS protection or anti-DDoS software is another important feature to stop the DDoS attacks. They are included in router or firewall. Firewall/ IDS – A secure host should have surplus firewalls. It should also offer you the ability to remove or add administration access to firewall rues. Intrusion Detection System (IDS) offers an added level of security. It can easily identify attack vectors and even stop it before more harm occurs. Secure POP3 – This ensures that your passwords and emails remain safe from frauds and hackers. To check how secure your website is, you can use the free tools out there. One such tool is “you get signal”. You can find the other websites hosted on a server, just by entering an IP address or a domain. Lesser the number of websites, better it is. It is one among the factors that you will have to get somewhat creative to know the real story. Customer reviews are an outstanding resource to evaluate web hosting companies, Look for many reviews from past or current clients as a single positive might have been posted by the company itself. You need to do a Google search for the particular host or look for them on Facebook or Twitter to see what their existing clients are saying about their services and them. Do they offer what they say? Are they simple to contact? What they do when they discover an issue with a site? Since we are talking about how to choose the best web host, it is better to check the reviews on third party website. Those reviews are generally based on real experience and are honest. Ensure to double check the money back guarantee offered by the webhost. Most of them offer a 30 days guarantee with full refund of paid amount. You should always look for at least 30 days money back guarantee. You will be thus able to say whether the host is a great fit for your requirements or you should find another one. It is important to know that the host handles customer refunds in order that you do not need to lose much if things go wrong at any time. There are some hosts that charge very high cancellation fee when users cancel the account during the trial period. You should avoid these hosts at all costs. Migration Charges: If you are looking to migrate your site, you should make sure that the host has no or minimum migration charges. A hosting provider with high migration charges are least recommended. Technical Charges: You should look for a web host that offers its tech support without any additional charges. Moreover, the technical support team should be easily available. That is it! That is all what I wanted to share today to look for how to choose the best web hosting company. Choosing a website host can certainly be as simple or complex as you wish to make it. However, the general thumb rule is to perform your homework and take decisions before it is an emergency. Follow the above mentioned tips and you will easily be able to find the best web host provider.